San Diego Comic Con is gearing up this weekend and Square Enix is prepped to bring along a couple playable titles as well as a wealth of merchandise up for purchase. 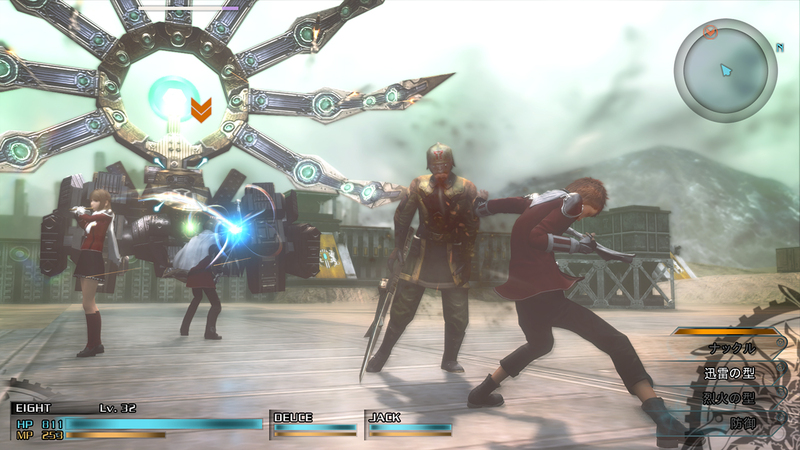 Alongside Dragon Quest Heroes – which was recently playable at E3 – fans will also be able to get their hands on Final Fantasy Type-0 HD for PC, which is said to include graphical options for high-end PC users, improved battle and camera controls as well as Steam community features. From the creative mind of Tetsuya Nomura comes a unique and stylized Batman This figure offers interchangeable set of arms, rich glossy black and red paintwork and translucent visor among other features. These cute yet powerful creatures based on the beloved summons from Final Fantasy XIV, can now be yours. The Carbuncle plush is available in two versions, and each one comes with its very own in-game minion item. Based on the highly popular and award-winning video game, Batman: Arkham Knight, the figure matches the highly detailed in-game graphics with battle scars and weathering effects. This SDCC exclusive version has been painted in a metallic bright blue and gold color scheme. Available for purchase at the booth or for pre-order on the online store. Two American icons make for an amazing mashup of epic proportions. Batman has been re-imagined as a cowboy to combat lawless criminals who run rampant in the Wild West. Varying paint methods were applied to show the texture of the leather materials, as well as weathering from grit and dirt. The figure includes display stand and interchangeable hand parts. From the highly anticipated entry in the Metal Gear Solid franchise, Metal Gear Solid V: The Phantom Pain, this figure includes an exclusive color paint scheme, interchangeable head, hands, weapons parts, and display stand. Finally, for fans of the Play Arts -Kai- action figure line, Square Enix will display an array of never-before-seen prototype figures at the booth. Posted in Dragon Quest Heroes, Final Fantasy Type-0. Wonder if Type-1 is something they’ll do before or after FFXV and FF7remaked? Type 1 wil be directed by the same director as XV, and he already said: XV first. So we can be sure that it will be after that. The remake of VII has a different team, so the development of those two can run simultaniously. It is very likely that the VII remake will release in 2017, the 20th birthday of VII. Maybe the 21th of January 2017, exactly 20 years after the release date of the Original VII. But since the production of VII is already started, while Type 1 production process still has to begin, I would say: first XV, then VII and then type 1. But that is just a guess.